Hey, it's this blogs' 10th anniversary in a couple of weeks! What are we doing? Where's the party at? I have no time to plan anything, but I'll show up. Heck, I'll bring the beer. By request I've re-upped lots more Zoogz Rift than you can stand, not necessarily in hi-fi. 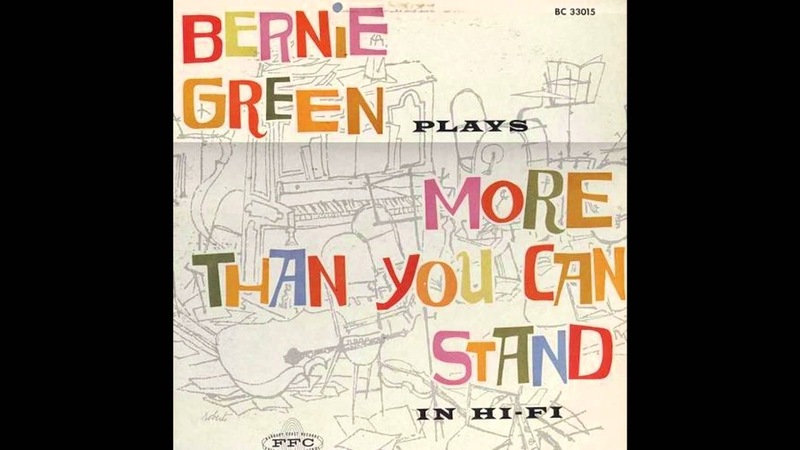 Bernie Green only made a few albums as bandleader, but they are eccentric indeed. The fact that one of them was done in association with "Mad" magazine should tell you something. This release isn't really Space-Age Pop, swing, or exotica, nor are we exactly in Spike Jones novelty territory either. I don't know what to call it - big-band circus music, maybe? RIYL: orchestral Raymond Scott, or Carl Stalling. The exciting percussion-fest "Railroad Train Samba" shares album space with the self-explanatory "Saxophobia," the ambitious (and quite insane) "Concerto For Calliope," and a cartoonish version of the Cuban standard "The Peanut Vendor." 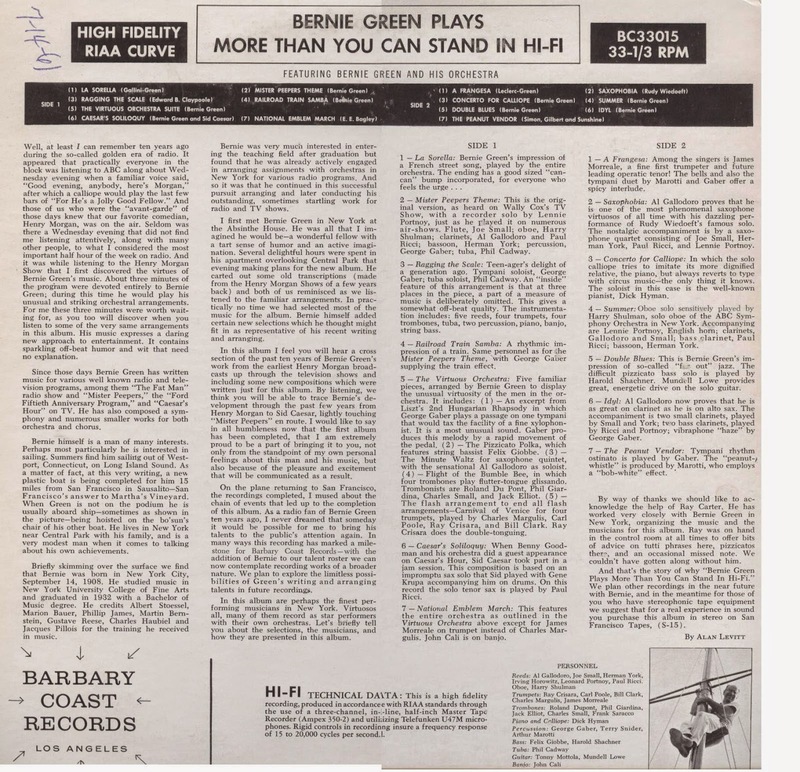 Perhaps fearing that this was indeed more than his listeners could stand, Green cools out with some low-key easy-listeners ("Summer," "Idyl") that aren't at all funny or eccentric, tho I do dig the noir mood of "Caesar's Soliloquy." Big thanks to windy for this one! Great Article, Bernie Green is brilliant! oh please re-up. thanks in advance. This music has been acclaimed by all who hear it! Peppy, accessible, yet deranged, with distinct klezmer overtones. What Green lacked in quantity he made up for in quality. Many thanks for sharing this one.